The Wood River Ranch offers a package of amenities that is unequaled in the current marketplace. 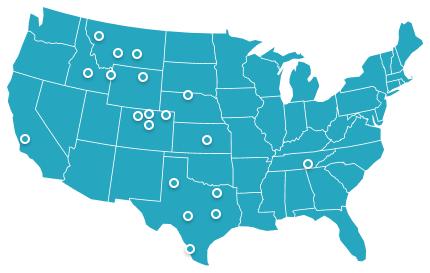 To begin with, it has easy access to good air service in under an hour’s drive and the all-important Wyoming address as a critical tax haven. The ranch lies in a contiguous block offering great scenery, world-class big game hunting, equally good trout fishing, and a nearly new, attractive and totally appropriate building complex. To complete the package, there is a management team in place that has the ability to turn what is essentially a private family retreat into a viable business enterprise. AND FINALLY, it is being offered at what we consider to be an extremely competitive price. The Wood River Ranch consists of 2,200± total acres (1,000± deeded) lying 19 miles south of Meeteetse which makes it a comfortable 50 to 60 minutes from Cody. The Wood River passes through the lower reaches of the ranch for two miles providing exceptional trout fishing as well as irrigation water for approximately 400 acres of hay meadows and pasture. The main building compound is located above the meadows and a short distance from the county road. This exquisitely executed headquarters includes a magnificent lodge, two guest houses offering ten comfortable bedrooms, most with private baths, a manager’s home, and a large barn/equipment shop. These buildings are thoughtfully designed and of exceptional quality - all of a common vernacular. The land rises fairly dramatically from this more pastoral setting to the modest - but again exquisitely designed - owner’s residence that is well removed and occupies a prime ridgetop setting. The ranch climbs from here up through a series of ridges and small valleys into some truly picturesque and wild country that represents some of the finest elk habitat to be found in the state of Wyoming. There are springs, a trout pond, a rustic cabin and small streams as well as a pleasing combination of timber, aspens and open parks – impressive country indeed! This part of the ranch encompasses 1,000± acres of landlocked state land and a small BLM lease and adjoins the Shoshone National Forest. This represents the core of one of the finest family – or corporate – retreats we have ever seen. Since the ranch is currently being operated as a well-regarded guest ranch and hunting lodge, it also has two hunting camps inside the Shoshone National Forest and additional private leases which significantly expand the hunting and fishing resource. Location: Easy hour south of Cody near Meeteetse. Acreage: 2,200± total acres (1,000± deeded) balance State and BLM. Improvements: Exquisitely executed building complex including working facilities, ten guest bedrooms, a manager’s house and a magnificent lodge with commercial kitchen and multiple amenities. Also a very comfortable two bedroom two bathroom owner’s home. Recreational Amenities: Terrific riding and hiking plus trophy quality big game hunting and outstanding trout fishing. Water Resources: Two miles of the Wood River plus 400± acres of good irrigation rights and multiple trout ponds. Scenery: River bottom meadows and riparian combine with dramatic mountain country with aspens and timber interspersed with open parks for grazing. Operating Characteristics: Functions as a private retreat with hay and summer grazing or, at owner’s option, as a full-fledged commercial guest and hunting operation. Summary: This is truly the complete package in a prime easy to access location. The ranch is accessed from the east by the Wood River Road, which is a good blacktop highway except for the last few miles to the ranch, which is well-maintained graveled county road that follows the river valley. After entering the ranch, one can turn to the north and drive up to the lodge and enter the building compound. One can also proceed further and turn to the south dropping down to the river to cross it and enjoy the extensive meadows that lie along the river on the other side. There is also a one-room rustic cabin sited along the river to provide refuge or a site for an evening barbecue. This lower elevation area is the operational heart of the ranch and includes an extraordinarily good fishing resource. The ranch ascends through timbered foothills from this area into some quite dramatic and beautiful mountain country that rises to actually adjoin the Shoshone National Forest. This upper country includes the owner’s home that sits on a ridge with views up the Wood River Valley as well as a beautiful fishing pond graced by another comfortable, rustic cabin. It also embraces well over 1,000 acres of encapsulated state and federal lands with of course private access to the national forest. In summary, the ranch incorporates a broad diversity of land types from riparian meadows to rocky cliffs to lush mountain grazing interspersed with timbered hillsides. Being situated 19 miles from Meeteetse along a county road that dead ends just above the ranch at the Shoshone National Forest boundary places the ranch just over 50 miles from Cody. Cody offers good commercial air service at its new airport as well as a full and modern FBO service. Meeteetse is a charming small town that exhibits a real sense of pride in its position in Wyoming ranching history. It offers basic services with nearby Cody providing most everything else one would need. The Wood River Valley is a bit of a “sleeper” as much of the land is held by large ranches owned by multi-generational ranching families – names that are rich in Wyoming history – Pitchfork Ranch, Antlers Ranch, Hoodoo, etc. Highly respected as some of Wyoming’s best ranching country, for those who know, this area also offers some of the best big game hunting and fly fishing to be found in the northern Rockies. Fortunately, most people do not know. As a result, the Wood River Valley has been a closely guarded secret for many years, yielding the notoriety to the North and South Forks of the Shoshone River that lie on the Yellowstone Park side of Cody. In fact, one can get to the Wood River on far superior roads in less time than it takes to reach the Upper South Fork. AND one has the added advantage of a charming small town like Meeteetse just minutes from the ranch. Also, one can access a vast block of national forest both adjoining the ranch and available at a trailhead a few miles above the ranch. This has the effect of moving the public into a different area which keeps the land adjoining the ranch quite private by comparison. The neighborhood also includes a few small private ranches along the road but very little small tract subdivision. The town of Meeteetse with its classic boardwalks and small but proud population is close to perfection as the “watering hole” one wants to have down the road from the ranch. Get a meal, hobnob with the locals in a saloon, buy some supplies or watch one of the local school’s athletic contests. Cody, of course, just 30 plus miles further down the road offers everything else one might need. Cody needs no introduction as it reigns as a major entrance city to Yellowstone National Park, the county seat of Park County and the home of the renowned Buffalo Bill Center of the West museum complex. For well over a century it has attracted individuals and families from all over the U.S. and internationally. Many come to enjoy Yellowstone Park, the surrounding wilderness and the excellent hunting and fishing. Many have also come back to live and ranch. They have combined to create a fascinating and stimulating local community which of course includes the Buffalo Bill Center of the West. This four museum complex is a phenomenal resource for such a small community but it represents the hidden resources that make Cody such a wonderful town. The headquarters area sits at 7,000± feet above sea level. We are estimating precipitation there in the 14 to 16 inch range with good snow cover in the winter and very comfortable summer temperatures. The area is well known as an area that escapes some of Wyoming’s well-known winds and produces exceptionally strong grasses that put good gains on calves and yearlings. The growing season here would be short – likely less than 90 days. The ranch manager estimates that there are approximately 400 acres that are subject to irrigation. The balance would be classified as a combination of riparian, building sites, timbered and foothill pasture. Owner’s Home – This is an exquisitely designed 1,510± square foot two bedroom two bathroom log home in a beautiful setting that is well separated from the main building compound on a high ridge overlooking the Wood River Valley. It was completed in 2008. Lodge – Located on the east perimeter of the Headquarters Complex and built in 2009, this 2,872± square foot log building has been thoughtfully designed to accommodate guests. It features a state of the art commercial kitchen, billiards room, two fireplaces, dining room, custom designed bar and comfortable seating areas – both inside and outside – for individual groupings of guests. The daylight lower level includes a fitness room with steam shower/sauna, a 1,000 bottle wine cellar, and both private and public locker rooms for clothing and gear storage - all easily accessible for people coming in from a day of riding, hunting, or fishing. Manager’s House – This very comfortable 2,690± square foot three bedroom three bathroom home was built in the 1920s but completely remodeled and updated within the last ten years. It is located within the headquarters compound. Hawks Rest - Located within the headquarters compound overlooking a small lake, this 1,708± square foot building was constructed in 2002 and includes four comfortable one bedroom suites. Bunkhouse – Built in 1972 and newly remodeled, this 1,600± square foot building includes six comfortable bedrooms which share two large bathrooms. There is also a central gathering area and “porch” where guests convene to share drinks and stories. Shop/barn - This 3,600± square foot multi-purpose building located in the headquarters compound was built in 2009 to accommodate a variety of needs. It offers a heated and insulated shop area, tack area, and barn area with two stalls. There is also extensive dry storage for small machinery and other equipment. Loveland Cabin – This is the one room rustic but very comfortable cabin previously mentioned that lies on a fishing pond up in the mountains above the main ranch compound. Brown Cabin – This is the one-room cabin - also previously mentioned - that lies along the south side of the river. Water resources on the Wood River Ranch are extensive. The ranch controls two miles of the Wood River and has two nice trout ponds. In addition, there are good wells at the headquarters and lots of small streams and springs in the mountain country. Besides being the first meadows on the river, the ranch has strong water rights for their meadows. Having an early position on the river also allows the ranch to have some control over the fishery in dry years as most of the major draws on the stream come out below the ranch. All the interest in minerals owned by seller will transfer to buyer upon sale of the ranch. Based upon past years the real estate taxes are estimated at $19,066. We have already mentioned the Wood River fishery which is home to the indigenous Yellowstone cutthroat trout. Just over the hill, the Greybull River is also a highly regarded trout fishery. There are some smaller streams in the area that support high-quality fisheries as well but they are mostly privately owned. For really big trout one can fish the wonderful tailwater section of the Big Horn River in the canyon south of Thermopolis which is just over an hour away. The ranch qualifies for owner’s tags under Wyoming regulations for elk and deer. 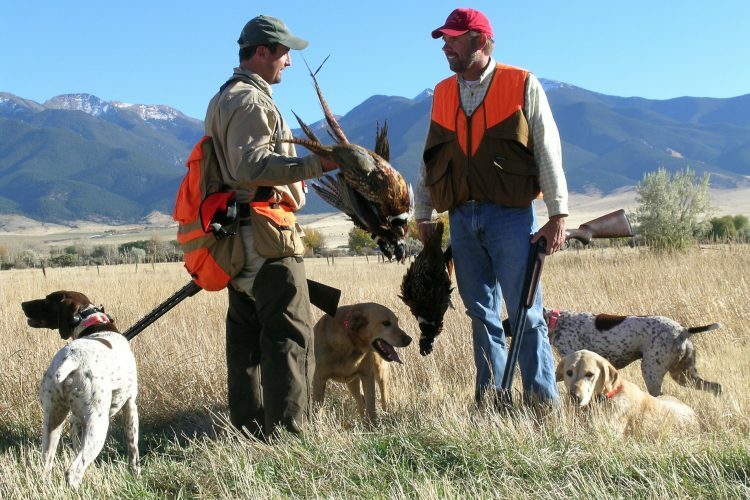 Big game hunting in the area is well known locally to be amongst the best areas in the State. Wind River Ranch is stocked with virtually every species of interest. Trophy quality elk, deer, moose, bears, wolves, and mountain lions are all present in season. With the combination of a rich riparian corridor, a good climate and lots of protection, it is easy to understand why Wood River is such an exceptional ranch for wildlife. 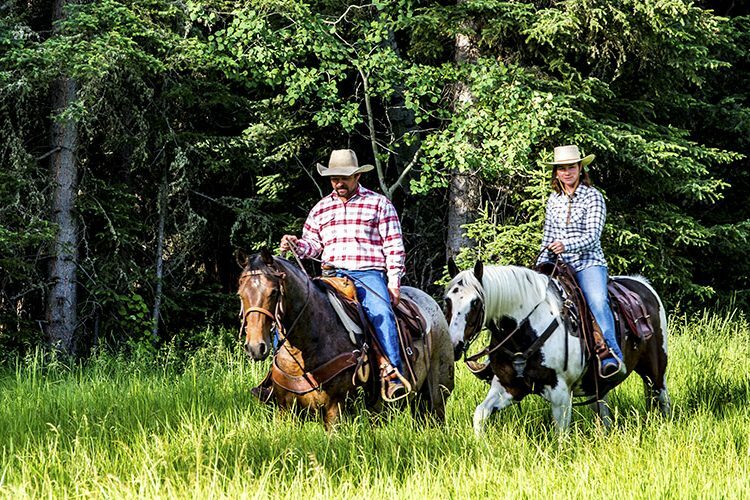 The Wind River Ranch is blessed with about as full a complement of recreational amenities as one could wish for. Trails throughout the ranch provide wonderful foot or horseback access during the summer months as well as four wheeler and snowmobile access in season. Immediate access to literally millions of acres of public wilderness lands literally “out the back gate” makes this an unusual ranch as well. Certainly, having world class big game hunting and angling on the deeded lands is quite unusual as well. Rarely does one see both on the same ranch. The current managers of the ranch have developed an aggressive program to make the ranch self-sustaining. They run a diversified operation that includes guest ranching, hunting, fishing, hay production and summer grazing. They are building a trophy elk hunting business that is approaching world class. They also offer deer hunts, wolf hunts, lion hunts and they allow cow elk hunters on the property on a fee basis to control and fine-tune populations. They offer, as well, an exceptionally high-quality fly fishing experience to their guests. 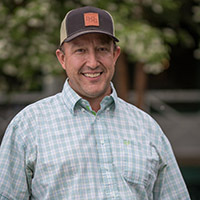 The agricultural operation currently runs about 450 yearlings during the grazing season and have had, not surprisingly, good results in putting strong gains on either owned or leased cattle. They also put up over 550 tons of hay on deeded and leased meadows, allowing them to take good advantage of their excellent water rights. 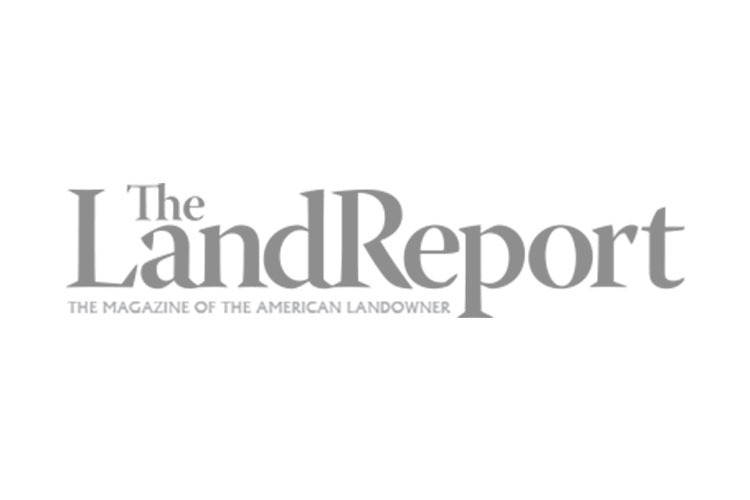 To accomplish this, they have maintained hunting leases on different nearby ranches as well as an agricultural lease on an adjacent 2,500± acre ranch that provides an additional two miles of quality fishing. In addition, they maintain two remote U.S. Forest Service hunting camps known as Surveyor Park and Chimney Creek. They would release these camps to a new owner based upon that person’s ability to qualify for these permits. The private leases are informal year to year leases and cannot be formally transferred but, if a buyer wanted to continue with the present management, they could easily step into these arrangements. In considering the Wood River Ranch, one needs to keep in mind that, at its essence, it is a 1,000± acre family retreat with outstanding private trout fishing and perhaps even better elk and deer hunting. On its own, it will support a modest agricultural operation that will carry some expenses but it would certainly not come close to cash flowing. It is also fair to say that the current owners tend to be the ranch’s best customers when it comes to hunting and fishing! Cash at Closing. Sellers are prepared to offer the bulk of the furnishings and equipment at an additional price should the buyer wish to accomplish a “turn-key” purchase. Nine miles NW of Dubois, WY, this 42± acre retreat offers a 5,700± sq. ft. home, bunkhouse, two garages, and fishing out the back door along 1,800± feet of the Wind River.